Lutz: We are "pulling forward as much as we can." DETROIT -- With bankruptcy behind it, General Motors is speeding up the development of vehicle programs that had been delayed. One car, the next generation Chevrolet Malibu, will go on sale in two years. In August, GM executives said that car would debut a year later, in 2012. 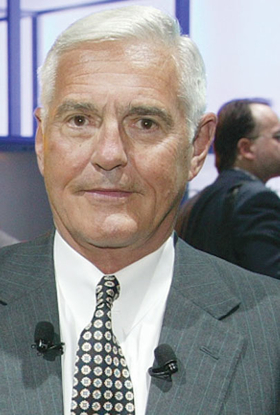 “Once we got out of the bankruptcy and started having money available, we were able to pull a lot of our programs forward,” said GM Vice Chairman Bob Lutz. He said “a bunch” of other vehicles were being pulled forward, without being more specific or identifying them. He was interviewed at a press preview Wednesday night staged to show some of Chevrolet's future vehicles and highlight the brand's marketing strategy. Through November, Chevrolet sold 142,194 Malibus, for 25 percent of its U.S. car volume. Amid this year's industry sales collapse, Malibu sales have slid 11 percent, while the division's top-selling car, the Impala, has dropped 38 percent. The next generation Malibu will share a front-drive vehicle platform with the 2010 Buick LaCrosse and 2011 Regal. It will be as wide as the LaCrosse, Lutz said, but the overall length will be slightly shorter than the current Malibu. He said interior space will be larger that today's Malibu; the wheelbase will be slightly shorter than the LaCrosse. A mockup of the car was displayed at the preview. All of the sheet metal is new. Lutz said he's particularly fond of a chrome strip that surrounds the side glass. “Nothing adds perceived value to a car faster than that chrome surround around the side glass because it is a hallmark of German and Japanese luxury products,” said Lutz. The high end Malibu also will have chrome door handles and other similar touches. “If you skimp on $50 of chrome, you are reducing the customer's perceived value of the car by $500 or $600,” he said. Lutz said all of GM's future cars will have a chrome strip surrounding the side window glass. The lone exception is the 2011 Chevrolet Cruze. It was too late in the product plan to make the change.